Over the weekend I had the absolute pleasure of hosting a 'Sustainability with Style' workshop with Willoughby Council that included a field trip to the local Salvos in Chatswood. Back in December I hosted similar workshops with Manly Council that included op shopping, markets and a clothes swap. A bit of the poster for the Manly Council workshops. I love that these councils are dedicated to engaging with people in their communities in various ways about how we, as individuals, can make a difference through our personal choices. 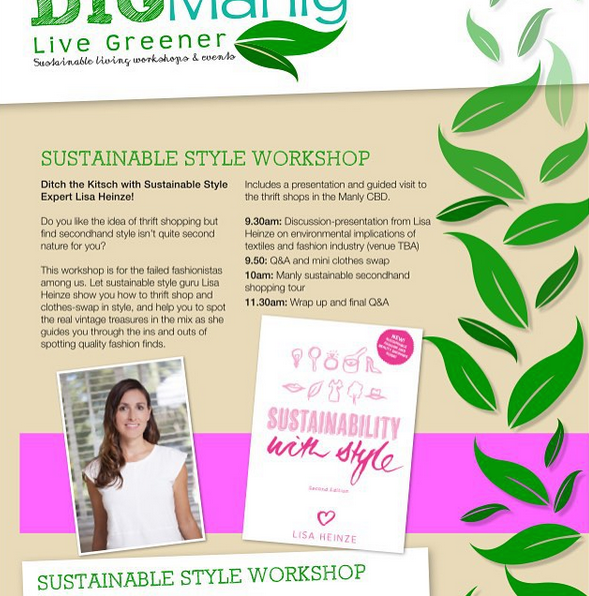 As a Manly resident I have attended these workshops, most recently a 'composting in apartments' workshop, and it was a privilege to share my knowledge about fashion and sustainability with others. 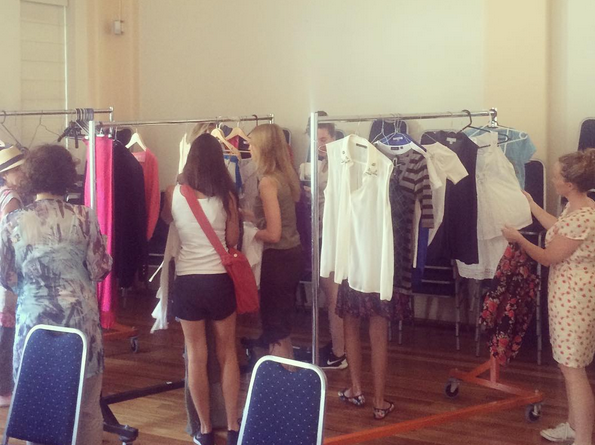 The remains of the Manly Council clothes swap. And a huge thank you to the people who attended the workshops. I am always left feeling energized after meeting people such as yourselves who are engaged in learning and taking action. (And I'm happy to report that most of the crew from Saturday walked away from the Salvos with some fabulous secondhand finds - they got a bargain, and the Salvos earned some money to support their causes). 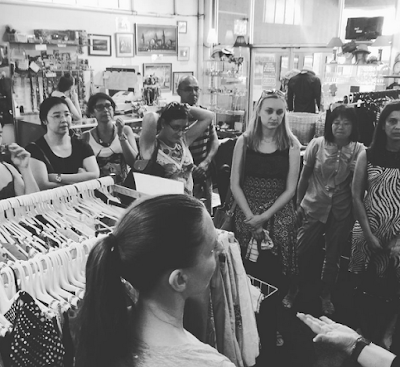 The group hearing from the Chatswood Salvos manager about the shop. If your community group, council, school, or other gather would like me to come and talk about fashion and sustainability, drop me a line on Twitter or send me an email.